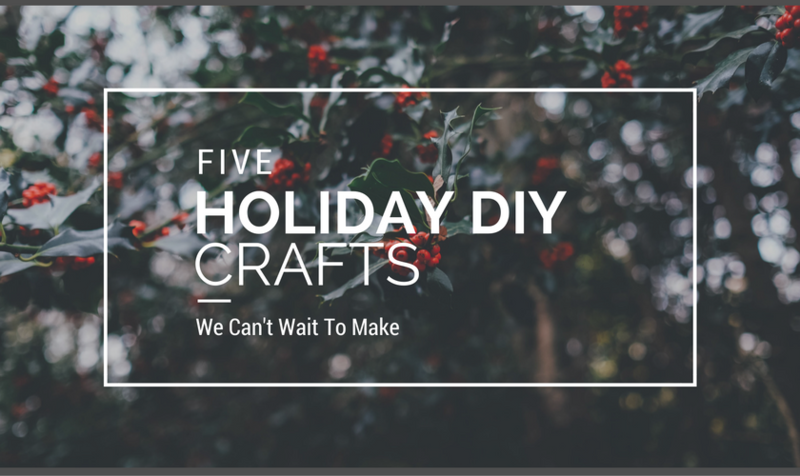 ’Tis the season for creative gift giving, and we have five amazing crafts that are both easy and inexpensive to make. As with any gift, it’s the thought that counts; as you are deciding which gifts to make, challenge yourself to consider ways to make them more personal for the person you have in mind. 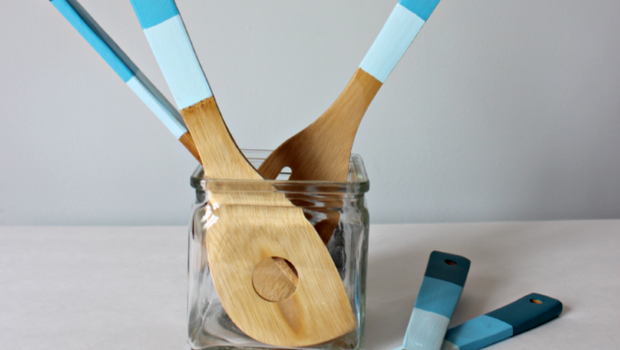 By carefully taping and painting wooden utensils in an ombre pattern, you can give a gift that adds a splash of color to any kitchen. This tutorial shows you exactly how to do it. Consider using the colors that complement their current kitchen style, and don’t be afraid to get a little creative with the pattern. What do you get when you pair inexpensive white 4x4 ceramic tiles with your favorite photos? 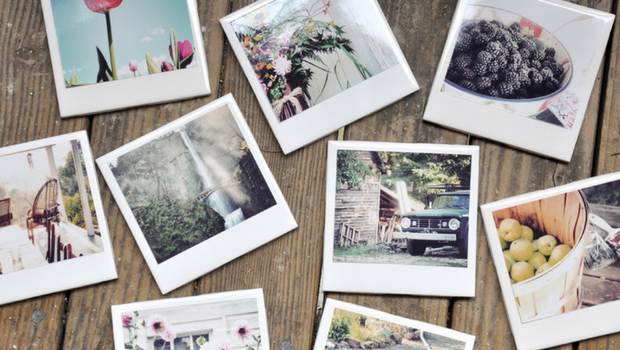 Coasters that look exactly like the old school Polaroid pictures (or your artfully filtered Instagram feed). Check out this tutorial and craft customized coasters (or pieces for a personalized backsplash) for all of your nearest and dearest. While the tutorial is lengthy, the hardest part is picking out which photos make the cut. It’s amazing what you can do with a porcelain fine point marker and a plain porcelain tea set. 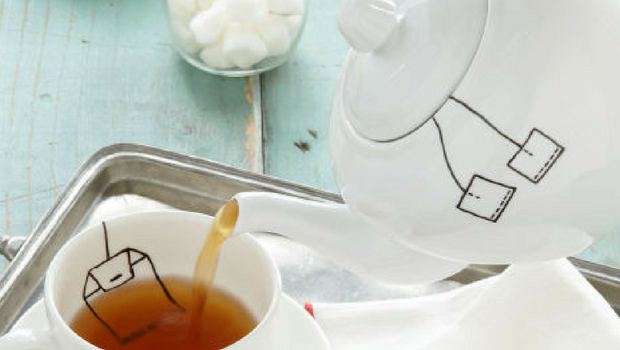 Whether you write their favorite quotes, spruce it up with personalized artwork, or do a fun play on tea time like in the image below, this project is only limited by your imagination. Once you have the ceramic items and the marker, all you need to do is draw. Once your image is set, let the images cure for 24 hours and then bake the items in a 300-degree oven for 35 minutes. Let cool, wash (the ink is dishwasher safe! ), and gift! Tuna cans turned vintage ornaments are a festive way to up-cycle. Simply paint the cans in fun, retro colors and add an iconic piece. 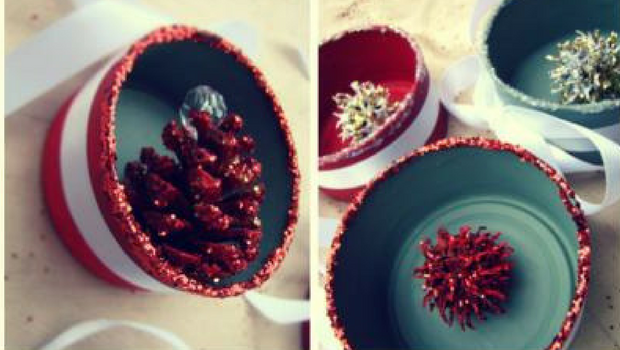 You can use found natural items like acorns and pinecones, or you can give trophy pieces, toys, and pencil toppers a new lease on life when you add paint, glitter, and beads. We think these could be cute with small, painted letters as well. If you have evergreens nearby, chances are you’ll have pinecones. 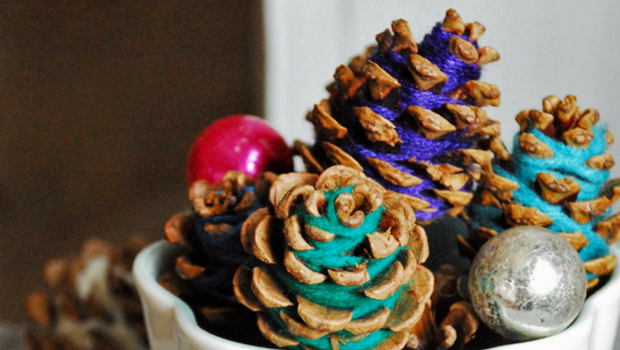 And when you have pinecones, you can do this super-fun craft. Create this look by tightly wrapping brightly colored yarn around the pinecone scales, keeping the yarn tightly tucked toward the pinecone's center (a popsicle stick and help push the yarn toward the core). When you get to the bottom, secure the free end with a dot of white glue. When finished, you can tie a number of these together on a string for an outdoor or mantle garland, or fill a bowl full of holiday merriment. Which one of the above crafts will you add to your Christmas list?